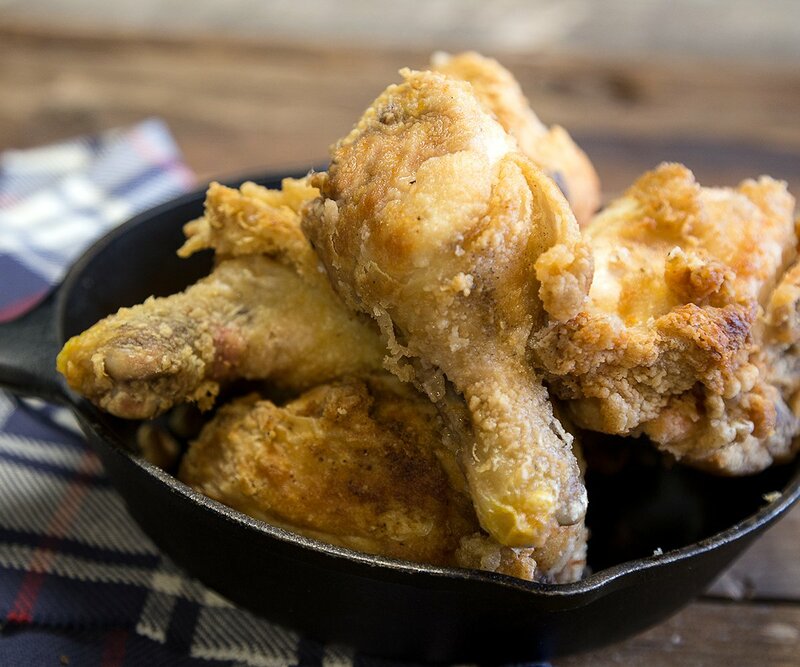 417 Magazine owner Joan Whitaker shares the ins and outs of cooking truly incredible fried chicken. Photo by Vivian WheelerOur extra-crispy fried chicken is light on ingredients but heavy on time commitment. In a large skillet, bring Crisco to 350ºF. Skillet should be about two-thirds full. In paper bag, add 2 to 3 cups of flour. Starting with pieces of dark meat, season each piece liberally with salt, pepper and paprika and place in paper bag. Working in batches of 3 to 4 pieces, shake bag vigorously to coat chicken thoroughly. Add more flour as needed. Place chicken pieces in skillet. Cook pieces for about 10 minutes on each side. Chicken should reach an internal temperature of 165ºF.